The new album from Lo Tom is surely going to be one of the highlights in an impressive week for new music releases. That this is the first release from a new indie super-group means that this record carries the need for an explanation with it. 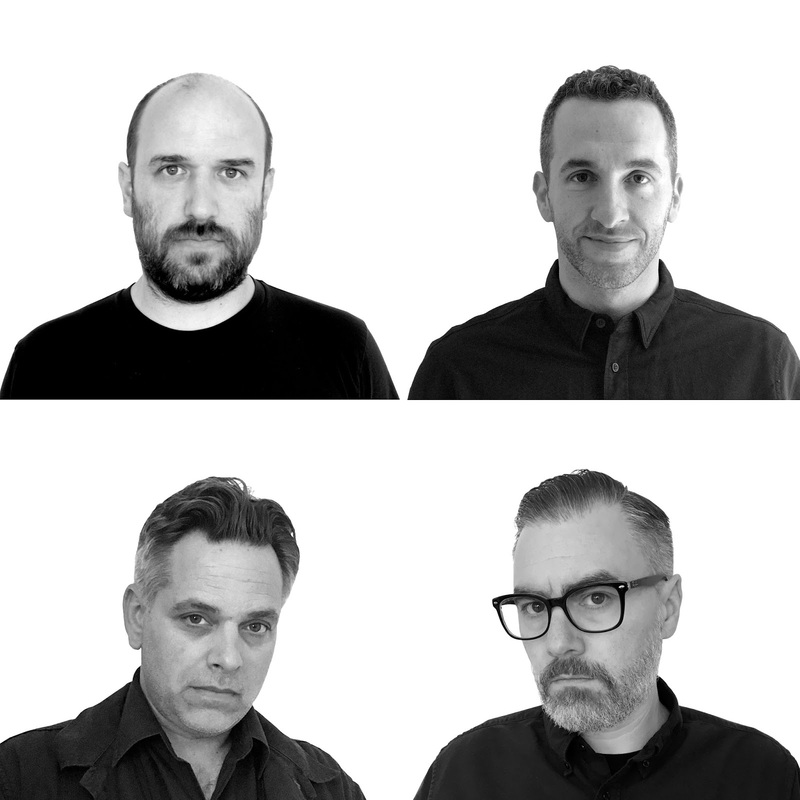 The band is David Bazan (Pedro the Lion), Trey Many (Velour 100, Starflyer 59), TW Walsh (Pedro the Lion, The Soft Drugs), and Jason Martin (Starflyer 59). They have been making music since they were kids, to paraphrase the press release, and there is indeed a nice quality to this rather simple music here that suggests the sort of unity of purpose that so much of today's indie lacks. There are 8 songs here and the album wisely gets in and gets out, as it were. A number like "Another Mistake" is a surging rocker of a sort that succeeds thanks to Bazan's impassioned vocals and Trey Many's pounding on the drum-kit. If "Find The Shrine" opens nearly like an old Pearl Jam cut, it's still more or less Bazan's show here and not some kind of grunge revival. The track is simultaneously "radio-friendly" and largely more genuine in tone than 90% of what you're going to hear on AOR stations, you know? Likewise, "Bad Luck Charm" is a Tom Waits-style downer dressed up in rawk trappings, Bazan's voice a bit rough here. Elsewhere, the faster "Covered Wagon" very nearly takes this record in a whole other direction in terms of style, while the absolutely superb "Overboard" blends a rough melodicism with some clean guitar hooks and lines from Martin and Walsh, the interplay with Bazan's bass and low voice a compelling and reassuring one. Album closer "Lower Down" is mournful but tuneful, riffs slowly shoving each other into some shadowy places. Lo Tom is the sort of project that is going to generate a lot of attention given the past efforts of these 4 players. It should also get a lot of notice for the effective simplicity of the album on offer here. Lo Tom is fine, human music that seems to be doing what so many other acts have tried to do but with more success. Bazan, Many, Martin, and Walsh have stripped things back without turning the whole endeavor into a neo-folk project. The effect then is more like an indie record that sounds like a classic Neil Young album. That's a weak comparison but trying to pin Lo Tom down to some indie sub-genre is a largely futile exercise. What's here has elements of the acts that the players came from, for sure, but it's also simple and direct music that stands on its own without a lot of baggage. In this day and age, un-ironic indie, the kind that isn't patting itself on the back for a moment or two of juvenile cleverness, is a thing to be appreciated immensely. Lo Tom by Lo Tom is out on Friday via Barsuk Records. More details on Lo Tom can be found on the band's official Facebook page, or on the band's official website.